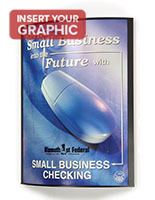 This Picture Frame is made in a Curved Design and Features an Acrylic Cover to Protect Your Media Content! 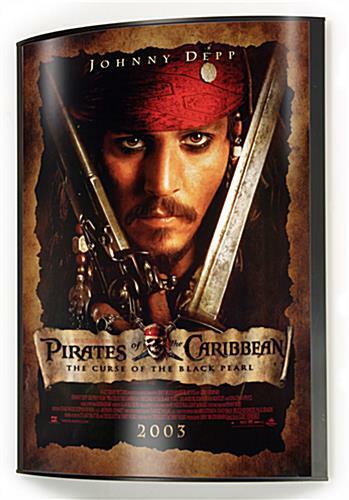 This Picture Frame is Ideal for Large Posters, Signs, and Graphics! 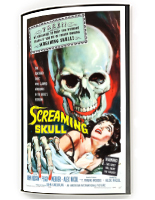 This Cheap Poster Frame is in Stock and Ready to Ship Same-Day! 27" x 40" 27" x 41" 36" x 48"
Convex design pushes 24" x 36" images off the wall. Clear acrylic front lens is easy to remove for convenient sign changes. Black Lucite border is a neutral accent for most decors. Z-bracket on the back makes for convenient installation. Picture Frame made of Curved Plastic, 24" x 36"
A 24" x 36" picture frame is a extremely popular size so it accommodates most standard posters. 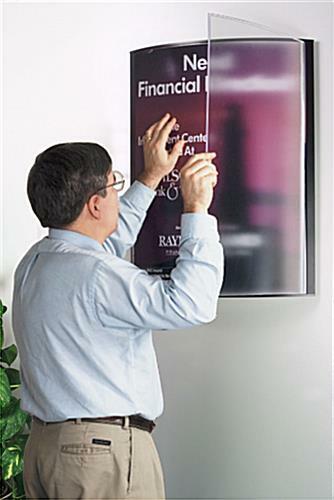 A z-bracket on the back allows for installation of this 24" x 36" frame a breeze. Merely mount the picture frame on the wall and the frames slides on top. The curved picture frame extends from the wall 5" at the farthest point and includes a 1" black accent trim on each side to the display. 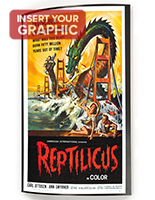 The 24" x 36" picture frame is produced from lightweight plastic and weighs just 16 pounds! Ships in oversize box. 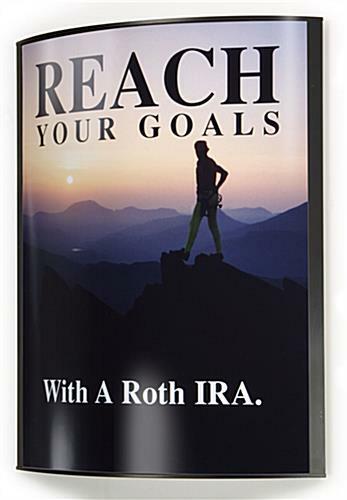 This 24" x 36" picture frame was engineered to get people's attention. Consumers, guests or clients will notice your posters when encased in one of these 24" x 36" picture frames with a curved front. 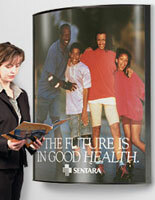 A clear cover lens removes to permit access to the enclosed prints while securing your poster. This cover is produced from a non-glare material that minimizes reflections from light and has thumb slots to help remove the acrylic cover easily. Posters can be interchanged in extremely little time.